Our processes allow you to recycle more than ever before. 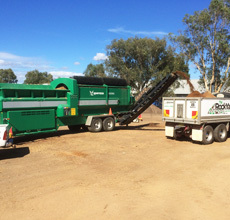 The Rock Yard specialises in screening, soil recycling, soil decontamination and site rehabilitation. 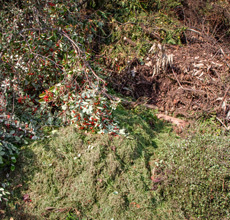 Our recycling services offer concrete recycling, green waste shredding, soil screening & timber waste shredding. 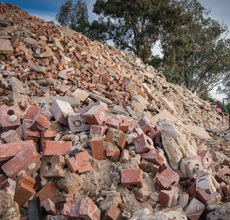 The Rock Yard accepts many materials to recycle. Ask us about our material recycling for more information. We are conveniently located between Sydney and Melbourne on the Hume Highway. Located within the local area operating for the last 15 years, professionally managed under licence. Bring it in, we crush it and recycle it. Doing the environment good. We accept any and all green waste materials. Screening is the sifting or sieving of anything. 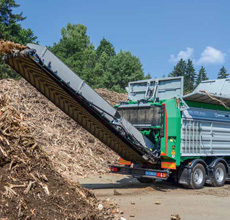 For root stumps, pallets, sleepers, we can shred it.